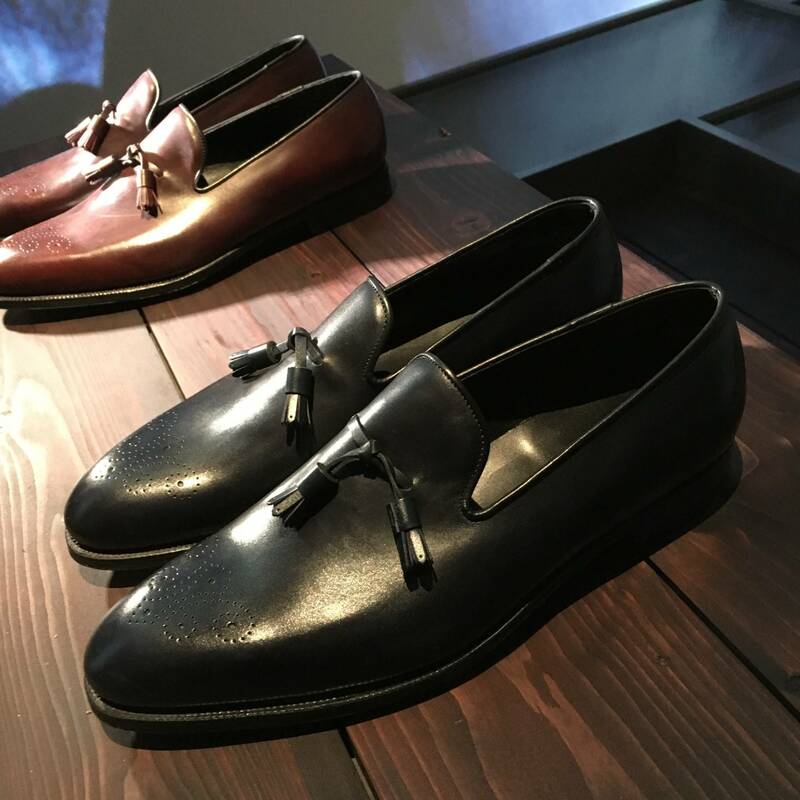 This season, John Lobb’s collection had an elemental focus, drawing inspiration from the River Nene and the flow of water. The shoes on display were linked by a path of water and an image of rushing water was projected onto a screen at the back of the room to give a truly immersive vibe to the presentation. The shape of the shoes were simple and organic, with visible stitching forgone, instead being replaced by smooth, uninterrupted lines. 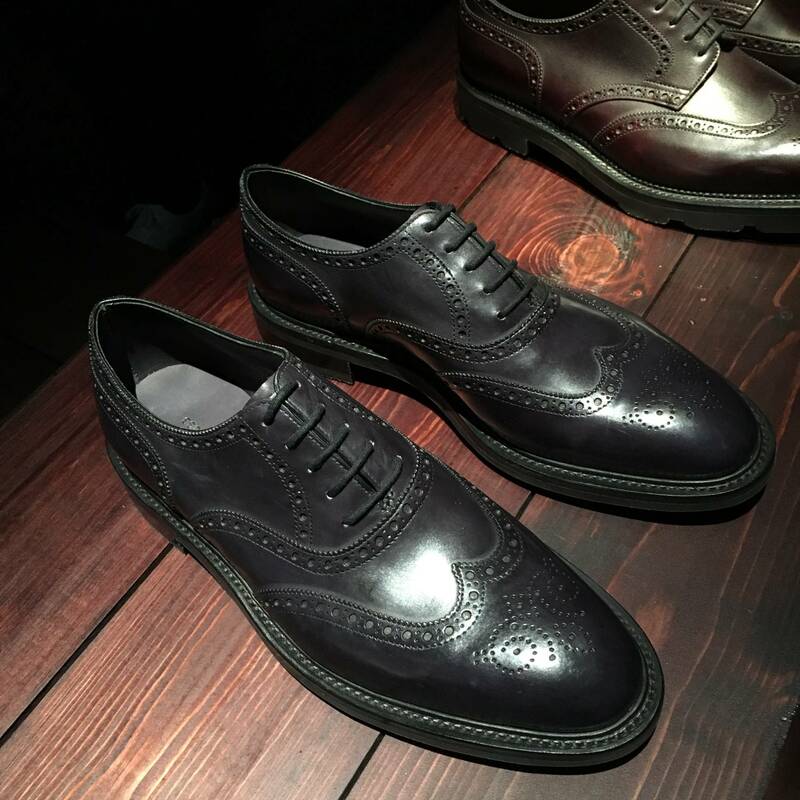 The brand also favours large pattern pieces, meaning shoes are often wholecut, allowing the quality of the leather to shine through. Rubber soles based on wooden lugs have also been developed this season and feature throughout the collection, along with a storm welt feature, bringing protection from the elements to the forefront. To bring a touch of history and nostalgia to the collection, the ‘Brun Lobb’ shoe has been revived from the brand’s archives and redrafted in a collaboration between Artisans of the Northampton factory and Bespoke Atelier. 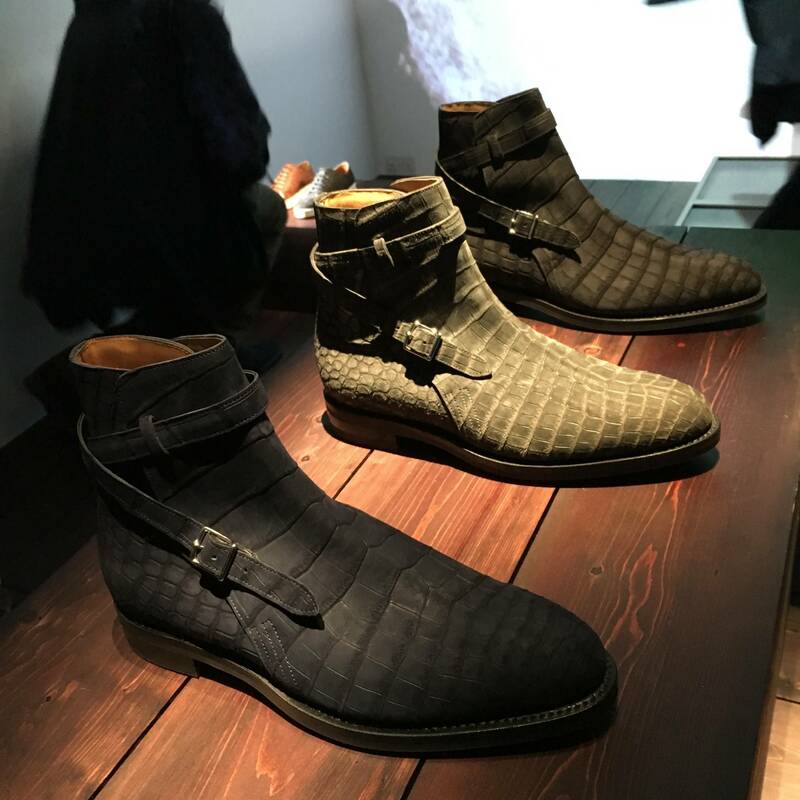 In terms of materials this season, water resistant Suede Crocodile is used in a set of Jodhpur boots and the iconic Museum leather has been used to produce the Levah plimsole and the Porth sneaker, which has beautifully finished leather welt detail. All in all, this collection is designed to make us think about the relationship between nature and industry and how even in something as simple and as pure as water, there is inspiration to be found.